Cadillac To Introduce Nine New Models In China, Does That Mean The Same For America? 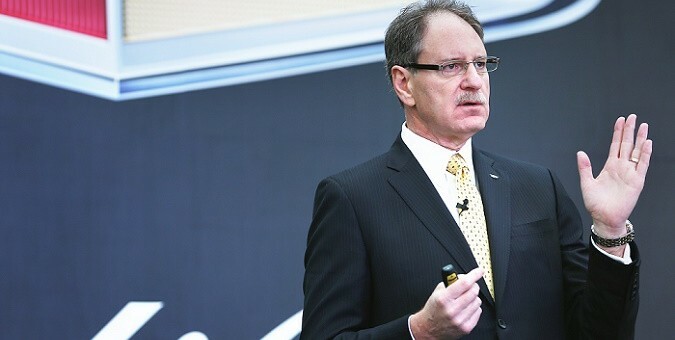 General Motors president Dan Ammann and Cadillac president Johan de Nysschen have revealed a plan to make Cadillac a leading luxury automotive brand in China by introducing five new models in the country over the course of the next five years. Over the next few years, China is expected to surpass the United States and be on par with Europe as the world’s largest luxury automotive market. Cadillac sales have climbed 50.7 percent in China during the first 11 months of 2014, and the luxury automaker is looking to keep the momentum up as demand for luxury cars in the country grows. It will introduce nine new models in China over the next five years, 95 percent of which will be produced locally. What’s more, Cadillac will offer OnStar 4G LTE with Wi Fi in China. The service is set to be introduced on an yet-unannounced Cadillac model in 2015. Previously, Cadillac said that it plans on eventually offering a small luxury car below the ATS, a convertible, subcompact and compact SUVs, a new midsize SUV (likely the SRX-replacing XT5), a new full-size luxury SUV, plus new compact and midsize sedans (ATS and CTS). It’s likely that all of these models will also be offered in North America and China, though some could be exclusive to either North America or China.